The Family Law & Policy Program regularly sponsors conversations with scholars in the field of family law and children and the law. These conversations center on tough issues that face families across the world, ranging from socio-economic challenges to the effect of gun violence on maternal health and family functioning. Our inaugural Conversation on the Family focused on When Economic Struggles Constrain Family Choices. It featured national and state thought leaders, ranging from William Galston of The Brookings Institute to state authorities like Janet Ahern, Chief Deputy Counsel for the Illinois Department of Children and Family Services, judges including Helaine L. Berger, Associate Judge on the Circuit Court of Cook County, Domestic Relations Division, and scholars including June Carbone and Naomi Cahn, authors of Marriage Markets: How Inequality is Remaking the American Family. 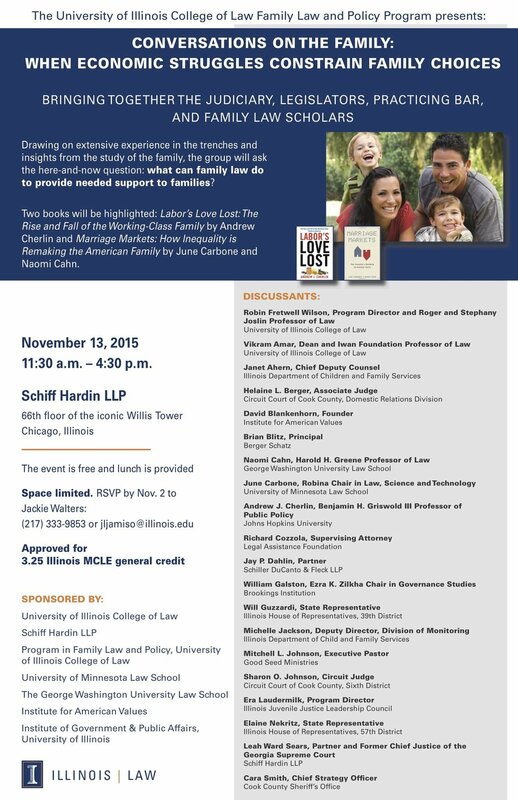 The Family Law & Policy Program regularly sponsors conversations with scholars in the field of family law. These conversations center on tough issues that face families across the world, ranging from socio-economic to political in nature. 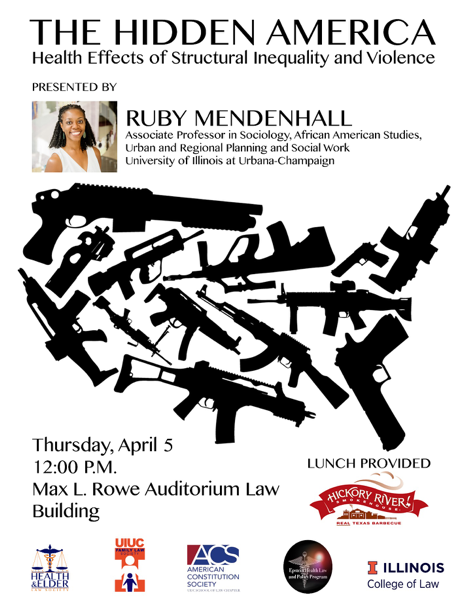 Below, watch Ruby Mendenhall discuss the Health Effects of Structural Inequality and Violence.